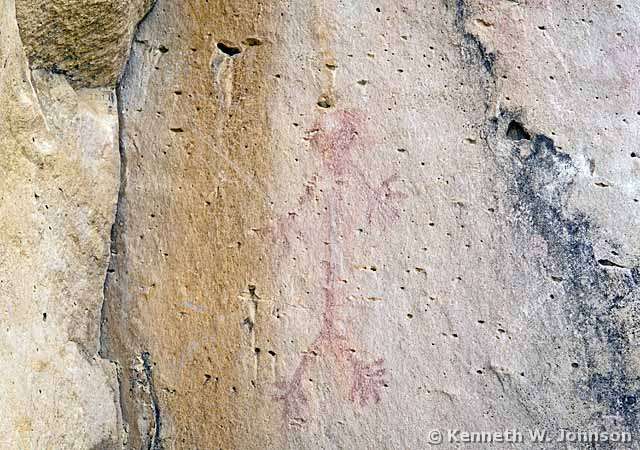 Through historic and prehistoric times, travelers have tended to follow the same routes in moving across this rugged country. This should be of no surprise, of course, as the water so essential to life in such a harsh desert can only be found in isolated spots, often many miles apart. 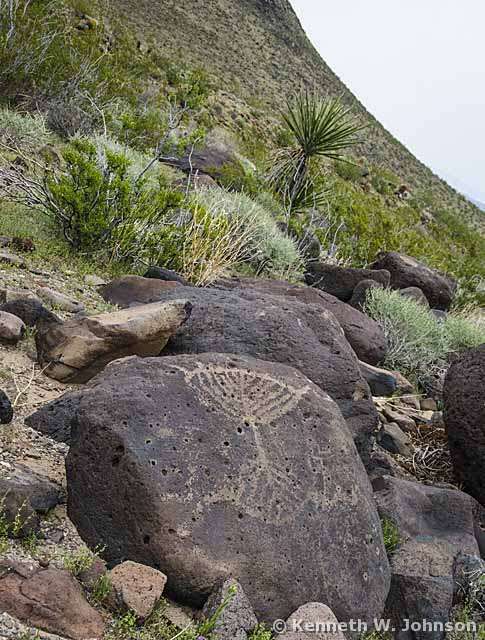 Often, travelers would need to wait until rains came to replenish springs, washes, and tinajas. One such route is known as the Mojave Road. There is but one public site along this road: Fort Paiute. This site contains the reconstructed ruins of a U.S. Army redoubt protecting travelers along the road. 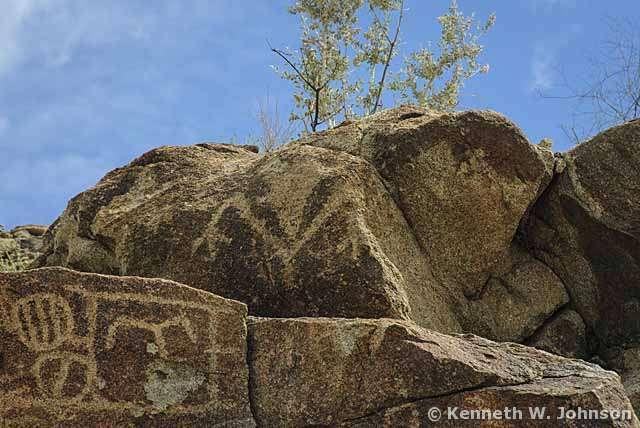 But, for our purposes, the main attraction is the spread of boulders with rock art surrounding what has been described as the most powerful spring in the Eastern Mojave Desert. 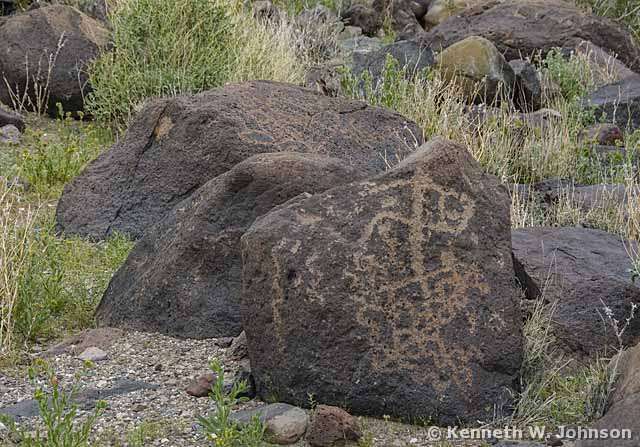 Many other sites can be found along the road, from just off the Colorado River and heading west through the Mojave National Preserve. 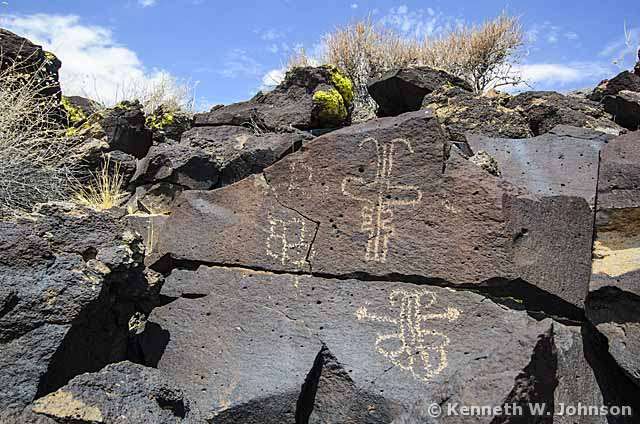 Within the Mojave National Preserve itself there are many sites, a number of which are well off the road, which have truly remarkable rock art. While we have the advantages of motor transportation, especially the ability to transport water and get to medical care, of all the Niches we consider none is as challenging. You are, to some degree, genuinely joining the brave souls who have braved this route and this area: ancient peoples over the ages, explorers, soldiers, traders, and settlers. 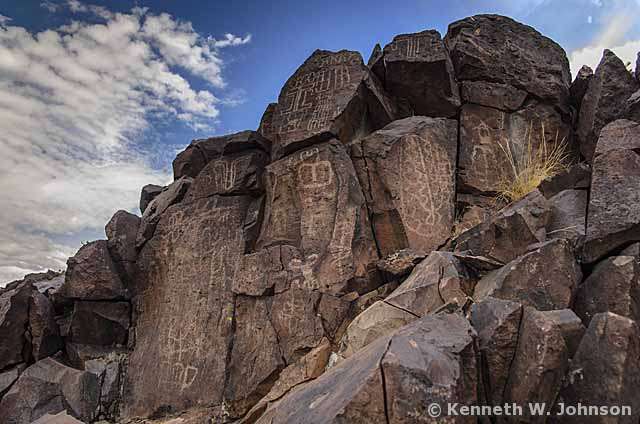 It is an adventure exploring these sites: a journey not for the faint of heart. Life is what happens when you are planning something else, it is said. To venture here, plan as though your life depended upon. Plan very well, my friends…. Nearest facilities are located at Baker, California. 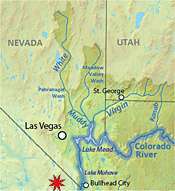 Further afield are Barstow, California, and Las Vegas. 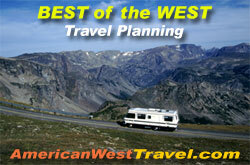 Responsible agencies are the National Park Service and Bureau of Land Management. Approximate travel time to base at Baker, CA: 90 miles; one hour, 21 minutes.